Increasing your strength, improving your cardiovascular endurance, becoming more flexible, or achieving your body goals might be some of the reasons you are focused on making fitness an essential part of your life. 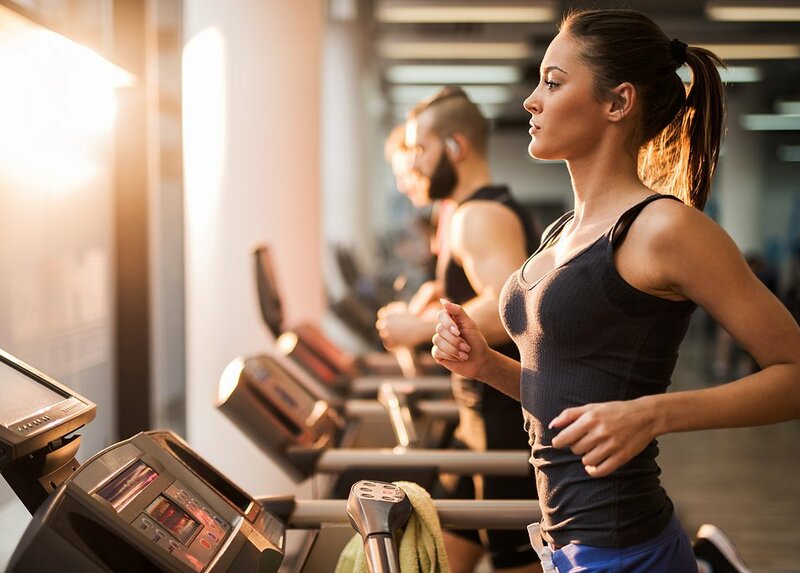 As all specialists clearly indicate, staying active is essential for a generally healthy lifestyle, but when you wish to obtain more advanced results and reach a noticeable performance boost, things can get a bit more complicated. Getting regular is one of the golden rules that need to be addressed here. It won’t be possible for you to reach that picture-perfect fit body if your training schedule is unorganized and inconsistent. A regular routine is demanded, and although you shouldn’t pursue the same strenuous sessions 7 days out of 7, at least 4 days of training per week are advised, each session lasting for at least 30 minutes. Committing to your workout schedule is a must. Choose your preferred training hours and days and stick to them. Seeing results is all about consistency. Write everything down on a piece of paper or in your mobile calendar, if you think it will be easier for you to maintain a steady flow this way. While you don’t need the constant supervision of a fitness professional to work out, for your efforts to pay off and your routine to provide you with the targeted outcomes, you will need to do each exercise correctly. Regardless if you are using a piece of equipment, or you are simply doing some basic crunches on a yoga mat, if you aren’t aware of how that said exercise needs to be done by the book, its effects are likely to be noticeable ones. Knowing how to carry out each form of workout you engage in is thus essential. Because you are trying to make out of your fitness a permanent lifestyle journey, having to always rely on someone else for pointers and advice might become a bit inconvenient sometimes. Well, why not acquire the expertise and skills of a personal trainer yourself? A great option you have here is to follow a personal trainer course, which will teach you everything you need to know about tour preferred fitness segment. At the end of the course you will be fully qualified, not only to engage in productive workout sessions yourself, but to help others as well, if this is something that interests you. As fitness specialists from OriGym indicate, learning the basics of personal training can change your perspective on working out completely, and you also have the convenient possibility of opting for e-learning, if you don’t have the time to attend a physical class. You can’t do the exact same workout routine, with the exact same exercises for months and expect to notice a steady improvement. Besides frequency, intensity is the second most important aspect to pay attention to. Whether it’s adding a new exercise to your routine, increasing the number of repetitions, or simply making the sessions longer, focusing on increasing the degree of difficulty of your exercise session on a regular basis is the normal thing to do. When your workouts remain the same, so will your results. Although you don’t have to jump from easy to hard from one week to another, trying making your sessions slightly more challenging as time goes by will be beneficial. As someone who values the importance of exercise in their life, you should go the extra mile and do some changes around the house, changes that can support your overall journey. From putting together an area free of distractions where you can engage in your at-home workouts, to having some useful pieces of equipment around, you can create an environment in your house that will influence your further actions on the matter. Perhaps you can leave a set of weights in the kitchen, and do some curls while you are heating something in the microwave, or you can install a resistance band near the bathroom and do a few repetitions before going into the sower – use this sort of tricks to your advantage, and you’ll find yourself more opportunities to stay active. What you choose to eat is just as important on how much you train when it comes to perfect fitness levels. Design a dietary plan that goes hand in hand with your body goals, and with the help of a nutritionist you can put together the perfect program in this department. Also, taking supplements might be necessary, if you want gains that are visible, so look into this topic as well, and add to your diet the right type of supplementation. Being aware of the milestones you have reached in the fitness department will only motivate you to stay on track. Fitness tracking gadgets have become quite popular for enthusiasts in the sports department, and you should be using them yourself for the proper monitoring of workout results. Weighing yourself regularly, checking your heart rate, measuring activity levels are all things that will help you stay focused and remember what you are working for. A healthy lifestyle demands implication from your part when it comes to exercising, but often, your efforts in the fitness department might no longer provide you with the desired results from various reasons. There are certain things you are able to do to boost your performance on the matter, and the pointers suggested above could provide you with the help needed. Follow these guidelines, and a notable improvement will not take long to show. Your fitness journey can be more productive than ever, as long as the right steps are taken – the only thing standing between you and your dream body is yourself, so take action!